Each longboard truck has two bushings in it - we usually refer to them as the "roadside" or "top" (the one nearest the road when you're standing on your board) and the "boardside" or "bottom" (the bushings that's nearest the board, or furthest away from the road when you're standing on the board). Taking the time to set your trucks up makes a massive difference to how your board feels, and it usually costs very little compared to other upgrades. With our huge selection of bushings, washers and pivot cups, we can transform your board if you bring it into the shop - but if you're not able to come in and see us, this guide should help you decide what's right for you. 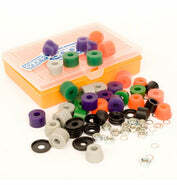 Bushings come in different durometers, or hardnesses. 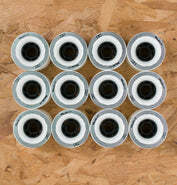 Harder bushings make your trucks harder to turn and lean, and softer bushings make the truck easier to turn and lean. Bushing size and shape can have just as much impact on how easily the truck turns as durometer. For example, putting a big kingcone, chubby or eliminator 90A bushing boardside can have a similar effect to putting a 93A barrel bushing boardside. Bear in mind that it's not quite as simple as this - bushing shape affects the way a truck turns as well as how much it turns, but the general principle is the same - bigger bushings can be an alternative to harder bushings if you accept the other changes they will make to your trucks. The boardside bushing is the one doing most of the work, as it's the bushing with all your weight on it. 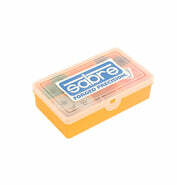 We therefore suggest that the boardside bushing is harder, bigger or the same as the roadside bushing - that is to say, you should never run a softer/smaller bushing boardside and a harder/bigger bushing roadside. Washer setup can make just as much as a difference, if not more of a difference, as changing your bushing shape or durometer. Choosing the right washers are the key to setting a good truck up - don't neglect them! And they're a lot cheaper than bushings, too. 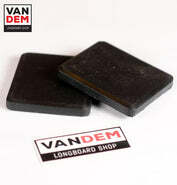 You can find our longboard washer selection here. It's best to have a clear picture in your head of how you want your trucks (and therefore board) to feel before you start looking at bushings and washers. This can be difficult at first - if you only have expereince of one pair of trucks, or you've never really played around with different bushings before, you'll struggle to know what to look for! The best way to get your setup right is to skate your current trucks as much as you can, and try to put a finger on exactly what it is about them that you don't like. This could be as simple as "I want my trucks to turn more," or more technical like "I want my trucks to lean a lot to start with, then choke up at the end of thr turn to stop wheelbite." Once you think you have an idea of how you would like things to feel underfoot, you can start eperimenting with different duros, shapes and washers to get the feeling you are after. Do you want more or less turn/response/lean from your trucks? This is the easy bit. Make your trucks turn more with softer bushings, and stay way from bigger "kingcone," "fatcone," "eliminator" and "chubby" bushings. Cones turn more than barrels too. Make your trucks turn less with harder duros and bigger bushings on the boardside. How do you want your truck to feel? Do you want a truck that turns the same all the way through the lean, or do you want what we call "flop-and-stop" - ie a truck that turns like crazy to start with, but stops turning/leaning the harder you carve? You might also hear this referred to as how much "dive" your trucks have. Here is where things get a bit more complex. For a "linear" turn - the same all the way through - go for the same duro and shape bushing boardside and roadside, and avoid bigger bushings altogether. Setting your board up like this will allow deeper carves, more lean, a more stable feeling, and a "flowing" turn - it's favoured by a lot of faster downhill and freeride skaters for these reasons. For a "divey" turn ("flop-and-stop"), you can try a softer barrel or cone on the roadside and harder/bigger bushing on the boardside. The bigger the difference between the two bushings, more you'll feel the flop and the stop. Setting your trucks up like this allows you to have a very "loose" feeling board, with reduced fear of wheelbite. How much return-to-center do you want? A lot of return will make your trucks want to "spring" back to going in a straight line, whilst very little return to center will produce a more "linear" turn and lean. 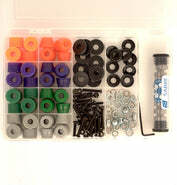 A lot of this is about your choice of washers - check out our longboard truck washer selection for more info on that. To get more rebound from your bushings, go for a higher rebound, softer duro than you might, with barrels or bigger bushings. Lots of return-to-center will make your board feel very "alive" and responsive - great for carving around, perhaps not so great for going 50mph! But there's a lot of personal prefernce here so try out different setups to see what you get on with. 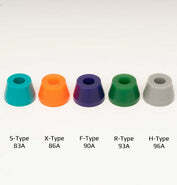 Riptide Krank bushings have the most rebound out of our bushing selection. For less rebound, flat washers make all the difference. 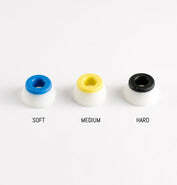 You can also go for a lower rebound bushing like the Riptide WFB or Sabre formula. Lower rebound setups are preferred by some (not all!) 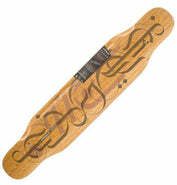 downhill and freeride skaters who are looking for a predictable board that goes where it's pointed. 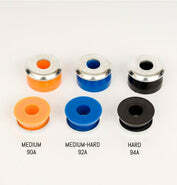 Which size bushings do you need? Like so many things in skateboarding, there's no standard size for bushings. Regular skateboard trucks ("TKP" or "Street") generally use a shorter bushing, often 14mm for the bottom and 10mm for the top. So we're looking here at brands like Bones and Independent. 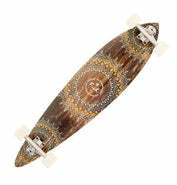 Decent aftermarket longboard trucks like Sabre, Paris, Bear, Caliber etc usually use around 14-16mm on the top, and 15-16mm for the bottom bushing. 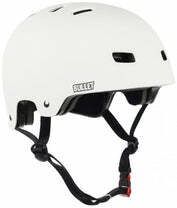 So here you're into Sabre, Orangatang, Riptide or Powell Peralta. Confusingly, if you have a set of cheaper longboard trucks like Globe's "Slant" trucks, you're probably looking at a shorter street-size bushing, as cheaper longboard trucks usually use shorter street style bushings. Bottom line - measure your old bushings first! You've got a bit of wiggle room, and washers usually add about 1mm to each bushing. We hope this little guide helps you choose the right bushings for you - get in touch if you need more help deciding, we know what we're talking about and can certainly help you transform your longboard! 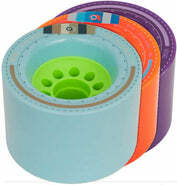 Products in the Skate & Longboard Bushings collection have an average rating of 5 with 1 reviews across 1 products. The highest product rating is 5 and the lowest product rating is 5.